Who is Maya Techno Soft? 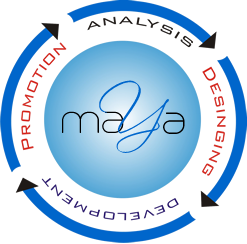 Maya Techno Soft is a delhi based Web, Graphics, Multimedia and Internet Marketing services provider Company. Though it may sound cliched but we offer the best services in the industry. This becomes eminent from the fact that we have a list of satisfied clientele who are pleased to associate themselves with our company. An Indian based Maya Techno Soft brings you quality and credible services at your door step. We always be available 24x7 for our client. Maya Techno Soft started in 2012 and that too with a limited profile of Website Designing, Web Hosting and Domain Registration. Within a short span we have diversified ourselves into providing services like Website Maintenance, Search Engine Optimization, Graphic Designing, Animations, Content Writing and all related services that one can think about. 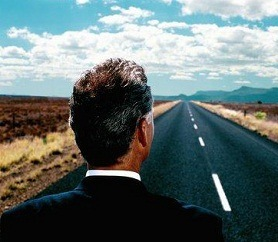 The reason for such immense diversification is because we have a lot of faith in ourselves and we know our strengths. If we undertake any project, it means that we not only try to accomplish it within the stipulated time, but we try to do it in such a way that it further gives us many leads. With our sense of experimentation we keep ourselves abreast with all the technical advancements. Therefore entrusting our company with a task implies you can be rest assured about the quality and the delivery of the product. 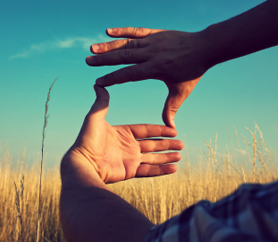 The end result that you get from us is creatively so efficient that it can be awe inspiring for the competitors. “Client Satisfaction is our top most priority” To provide cost effective website designing and development services and to achieve the mutual growth for our clients, employees, vendors, and the organization at large. To be a Professional Web Development Company in India, a business partners of domestic clients in India and global clients in the US, UK, Canada, Australia,New Zealand, Europe and other international markets.